Home » Blog » Do Adults Need Immunizations, Too? Kids aren’t the only ones who need up-to-date immunizations. Adults need their shots to help stay healthy. Which shots we need depends on factors like lifestyle, age, travel plans, overall health – even our occupation. Who decides which shots are appropriate? Every year, representatives from a variety of health organizations – including the Centers for Disease Control and Prevention (CDC), the American Academy of Family Physicians, the American College of Physicians and the American College of Obstetricians and Gynecologists – review and approve the list of recommended immunizations for kids and adults alike. You can see the adult immunization schedule on the CDC website. Of course, you should work with your Providence primary care provider to determine which immunizations are right for you. But, here’s a rundown of which adult vaccinations are most often recommended for adults to help protect you – and those around you – from preventable illnesses. An annual flu vaccine is recommended for adults, especially those in close contact with kids and seniors. It’s available as a shot or nasal spray and the formulation changes each year, depending on which strains of influenza are most common. So, be sure you’re protected against the latest flu viruses. The TDaP vaccine protects you from three serious threats. Tetanus is a potentially deadly bacterial infection that strikes the nervous system. Diphtheria is a bacterial illness of the respiratory system. And, pertussis is also known as “whooping cough,” a highly contagious, uncontrollable cough. Adults 19-64 should have a TDaP vaccine if they didn’t have one as a child. In addition, you should have a booster every 10 years. Women should have a TDaP vaccine during the second or third trimester of each pregnancy to help protect their newborns from whooping cough. If you suffer a cut or wound that is potentially contaminated (think rusty nail), your medical provider may recommend having a TDaP if it has been more than 5 years since your last one. If you’ve never had chickenpox – or didn’t have a chickenpox vaccine as a kid – you should probably get one as an adult. It’s administered in two doses, 4-8 weeks apart. HPV is the most common sexually-transmitted infection. For the majority of people, the infection goes away on its own. But, for others, it can result in genital warts and even cancer. The HPV vaccine is recommended for woman 26 years and younger, men 21 years and younger and others with specific risk factors. It’s administered in three doses over 6 months. Shingles is a painful skin rash caused by the chickenpox virus. Seniors and folks with weakened immune systems are particularly susceptible to shingles. As a result, adults 60 years and older are encouraged get this one-time vaccine – even if they’ve had shingles before. This vaccine is recommended if you were born in 1957 or later and didn’t receive the vaccine as a child. This helps protect against pneumonia and is routine for folks 65 and older. Your doctor may also recommend it if you’re younger, but a smoker. There are different types of pneumococcal vaccines. 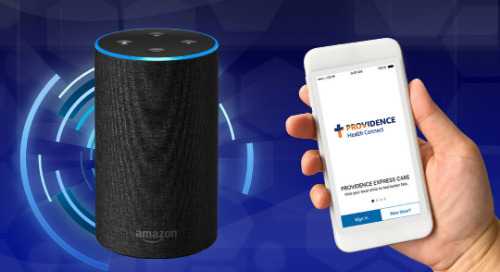 Your Providence primary care provider will suggest the best one for you, based on your medical history. You’ll need one-time booster after five years. Meningitis is a nasty, potentially life-threatening bacterial infection of the membranes surrounding the brain. It is most common among people in close living conditions – like dormitories or barracks. So, the vaccine is often recommended for first-year college students who either haven’t been vaccinated previously or who received the vaccine before age 16. Hepatitis A and B are viral liver infections. The vaccines are suggested for adults with chronic liver disease or whose jobs, needle drug use or sexual activity put them at increased risk. Talk to your primary care provider if you believe you’re at risk for contracting hepatitis. Have You Already Been Immunized? Tracking down your immunization records can be challenging, but it’s not impossible. Talk with your doctor’s office and pharmacy (past and present), your parents and past employers, or check public health and school records to help narrow down the status of your vaccinations. Certain blood tests can also help determine if you’re already immune to specific diseases. If you can’t find your records, you may need to receive additional vaccines. In general, it’s not harmful to receive these “extra” doses. Your Providence primary care provider can help determine which immunizations you need in order to get back on schedule. Some vaccines contain live viruses – like MMR and chickenpox – and aren’t recommended during pregnancy. Other vaccines, however, are routinely administered during pregnancy to help protect both the mother and baby. The injected form of the influenza vaccine is generally okay for women pregnant during the flu season, while the nasal form of the vaccine is not. And, as mentioned earlier, a TDaP booster is routine during the second or third trimester to help protect your newborn from whooping cough. Talk to your OB or nurse-midwife about which vaccines are best for you. If you are traveling abroad, additional immunizations may be recommended to help protect you and others from contracting and spreading regional diseases. In fact, some countries require documentation of certain vaccinations before you enter the country. Check the CDC website for the latest information on recommended or required vaccinations for travel across the globe. Whether you’re headed on an African safari or off to college, your Providence primary care provider can suggest immunizations to help prevent certain illnesses. Don't have a primary care provider? Find a provider now.